UW Health's Adult Congenital Heart Disease program has earned a five-year accreditation from the Adult Congenital Heart Association (ACHA). The multidisciplinary program is led by Heather Bartlett, MD (pictured at right), associate professor (CHS), Cardiovascular Medicine and Department of Pediatrics. Program team members care for adults who were diagnosed with a range of congenital heart disease (CHD) which may have caused symptoms at birth or in early childhood. Congenital heart defects are the most common types of birth defects, according to data from the Centers for Disease Control and Prevention, affecting 1 percent or about 40,000 births per year in the United States. A variety of structural abnormalities affecting cardiac blood flow are included in the CHD umbrella term. Examples include ventricular septal defect, atrial or ventricular septal defect, tetralogy of Fallot, coarctation of the aorta, inherited arrhythmias, and pulmonary valve insufficiency. Defects range from simple, which may be asymptomatic or cause few symptoms, to complex, which can cause life-threatening complications. As imaging technologies and treatments for these conditions have advanced, so has survival to adulthood. There are now about 1.4 million adults living with CHD in the United States, surpassing the number of pediatric patients with CHD. "My goal is to improve congenital heart disease care across the state," said Dr. Bartlett. "Many patients and their providers are unaware that lifelong specialty congenital heart disease care is needed." The rigorous accreditation process, which is aimed at providing patients with a community of support and network of experts with knowledge of the disease, is conducted by ACHA to ensure that each program's medical services and practices meet their requirements. UW Health's program is one of only 25 in the nation that have been accredited as of January, 2019. "Accreditation improves awareness of adult congenital heart disease and helps inform patients and providers about where they can access specialized cardiovascular care," said Dr. Bartlett. 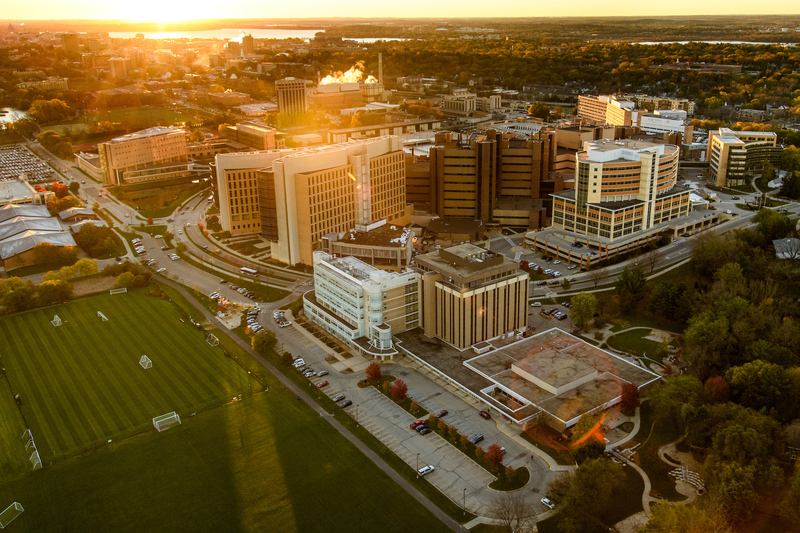 "Going through this process was a positive experience for our entire care team, highlighting the depth of talent and resources at the University of Wisconsin. I feel truly inspired by the collaborative culture. People across the institution were remarkably supportive of this process," she said. Specialized care for adults living with CHD leads to improved survival, explained Dr. Bartlett. In 2014, a study by researchers at McGill University found a significant reduction in mortality for CHD patients who were referred to specialized CHD care centers. The UW Health Adult Congenital Heart Disease Program consists of a multidisciplinary team that works collaboratively to provide expert care for patients and their families. In addition to cardiologists and surgeons, the team includes imaging specialists, nurses, genetic counselors, pharmacists, exercise physiologists, subspecialists and social workers to provide comprehensive care specifically tailored for adults with congenital heart defects. Program members also work closely with primary physicians and subspecialists to meet patients' medical, surgical, obstetrical and social needs. Stout KK, et al. 2018. 2018 AHA/ACC Guideline for the Management of Adults With Congenital Heart Disease: Executive Summary: A Report of the American College of Cardiology/American Heart Association Task Force on Clinical Practice Guidelines. J Am Coll Cardiol. S0735-1097(18)36845-1. Mylotte D, et al. 2014. Specialized adult congenital heart disease care: the impact of policy on mortality. Circulation. 129(18):1804-12.